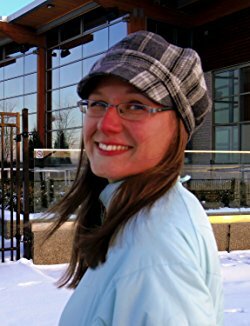 In the fantasy world of Kepos Gé, Linette Cole flees her past by joining a frontier settlement on the edge of the wilderness. But she can’t escape the threats abroad in this new world—or the wild things growing in her own heart. 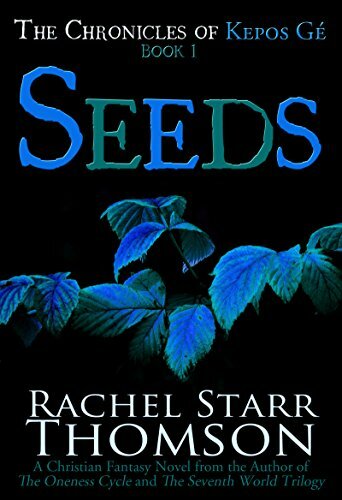 SEEDS is page-turning Christian fantasy by acclaimed author Rachel Starr Thomson — a novel about a wild frontier, monsters in the shadows, and a world trying to hold onto a fragile peace even as dark forces conspire against them. In the fantasy world of Kepos Gé, a young woman flees her past by joining a frontier settlement on the edge of the wilderness. But she can’t escape the threats abroad in this new world—or the wild things growing in her own heart. Something is deeply wrong in Jerusalem Valley, where the persecuted religious faction called Tremblers are trying to create a new society. As Linette Cole struggles toward acceptance and newfound faith, friends turn to enemies and enemies become friends. Because words have been spoken. In the year 1516, an alliance of nations called the Kaion Anthropon—born out of the remnants of an ancient empire 1500 years earlier—was torn apart by a series of wars. In the beginning, it was religious unity that created the Kaion—unity made in the worship of Father, Son, and Fire Within. Now, religious strife tore it apart. The conflict was called the Wars for Truth, as the Kaion split into factions, each claiming to hold exclusive truth and hope, not just for the Kaion, but for all mankind. Of these factions, two became primary: the Sacramenti, keepers of the old ways, and the Puritani or Pure People who claimed the old ways had become corrupt and that they were the new guardians of truth and freedom. The Wars were bloody and seeming endless, raging for over a hundred years. As they split the Kaion into smaller and smaller entities, kings and nations sided with one faction or the other. In time, power shifted decisively to the Puritani, and the Sacramenti were largely driven underground. At last the Kepos Gé settled into an uneasy truce. I the year 1639, King Aldous II of Angleland, an island nation belonging to the Puritani, granted to a trouble-making Trembler within his courts land in the New World across the sea. His name was Herman Melrose. Dreaming of a world in which peace might reign and tolerance lead every faction into unity and love through the influence of the Fire Within, Melrose crossed the ocean in a ship, meeting with the Colonies on the shores of the New World before beginning his river voyage inland—bound for the wooded mountains and valleys that now belonged to him. Herman Melrose carried the challenge of forging a truly new order within the New World. With him was a small group of settlers. Ahead of him was an unknown world, inhabited by unknown tribes and deadly beasts. And behind him, the Imitators trained up one of their own for a mission. Linette Cole rested her hands on the rail of the flat-bottomed riverboat and gazed out at the green world unfurling before her. A long strand of strawberry-blonde hair worked loose from her bun, blew across her face, and she tucked it behind her ear. “Beautiful, isn’t it?” asked a soldier behind her. “That it is,” she answered, keeping her eyes forward, fixed on the land before her. The crystal-clear river was wide and slow-moving here, and along its banks stretched a flat, sandy plain. Not a hundred feet beyond that, the land rose into hills and then mountains, covered with trees in a deep green darkness, a misty and mysterious world that called to her and frightened her both at once. She’d heard countless stories of the dangers of the wilderness—beasts, sheer cliffs, strange diseases, and terrible storms—only slightly more frightening than rumors of the tattooed and godless Outsiders. The stories had been told to her, offered to her like stones in a wall meant to keep her in the Colonies. The frontier was no place for a woman, they said. Not even a woman like her. She glanced away from the scene beyond the river as the conversations and confrontations of her last days in New Cranwell flickered over her eyes like a film. Countless moments, woven into a painful cloak of shame and loss that she hoped never to wear again. They’d told her there was another way—they, the authorities of the Puritani kirk and colony, not least among them her own father. They’d sworn that she would grow used to her new position in the Colonies, used to being an outcast and a byword, used to the constant reminders of her aching loss, and she would accept it and find peace. A speaker and spoken-word artist with 1:11 Ministries, Rachel leads audiences worldwide in exploring the depths of biblical truth. She is also the author of the Seventh World Trilogy, The Oneness Cycle, and many other books. Her blog, Revelatory Creative, shares studies and stories to help believers discover the kingdom of God. Check it out (and get a free book or two!) at www.rachelstarrthomson.com. The upside of a slightly fictionalized version of Christian history is that it would make studying for a test less dry.